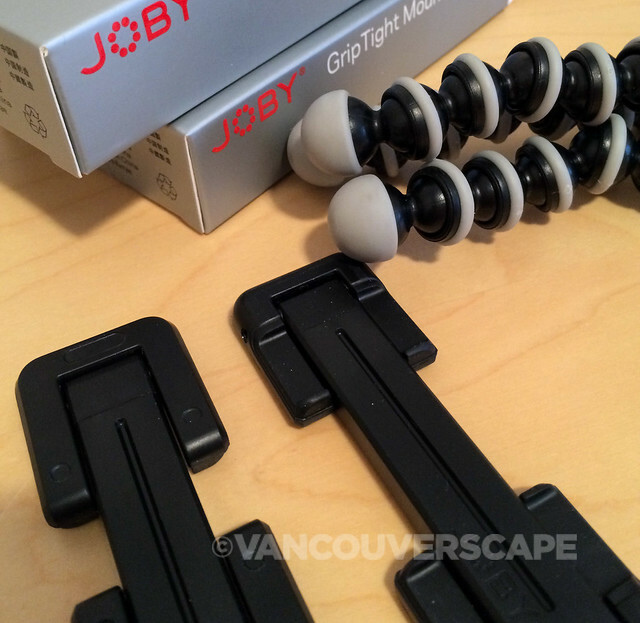 I recently got my hands on a couple of JOBY GripTight mounts—compact, yet expandable little gadgets that can transform your smart phone into a tripod mount. Next to the regular-sized mount (suitable for iPhones, Androids, and Windows smartphones) is a newer, bigger cousin, the XL. Large-screen phones such as the Samsung Galaxy S5, Samsung Galaxy NOTE 3, the Nokia Lumia 1520 AND recently-launched iPhone 6 Plus can take advantage of this handy, easily-attachable mount that works with or without a phone case. The polycarbonate-ABS plastic mount has rubber grip pads to secure the phone in place either in portrait or landscape orientation. The grips snap flat for easy tucking into a pocket or bag, with a small hole at one end to accommodate a lanyard or keychain ring. The GripTight’s internal steel springs expand to snuggly fit your phone. 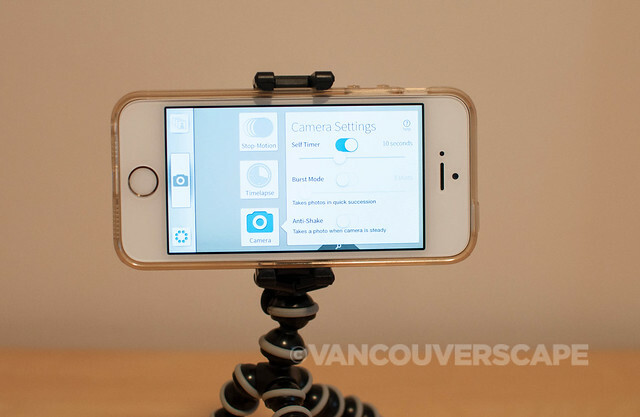 My iPhone 5s with an iSkin Claro case fit the mount, which I then attached to one of Joby’s standard GorillaPods. 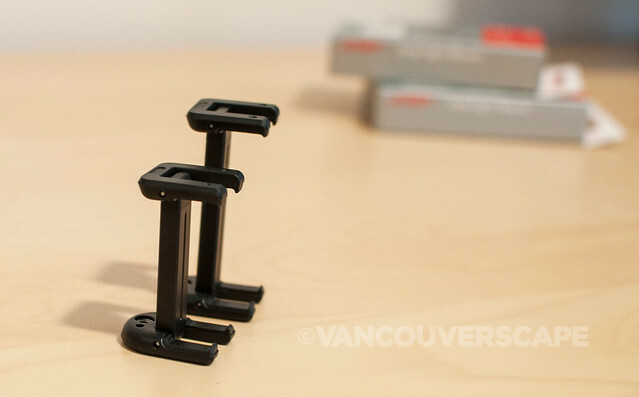 The GripTight has a stainless-steel universal 1/4-20” screw that will fit standard tripods. 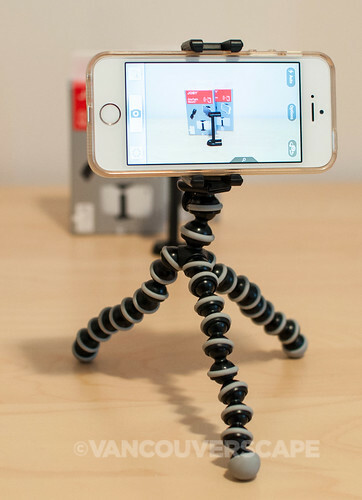 A free GorillaCam iPhone app (for iPhone, iPad, and iPod Touch) can be downloaded for basic stop-motion captures, plus self-timed, time-lapse, and burst-mode photos. For more advanced features and controls with these options, there’s a $1.99 Pro version available (as of this writing, I’ve only tested the basic, free version). 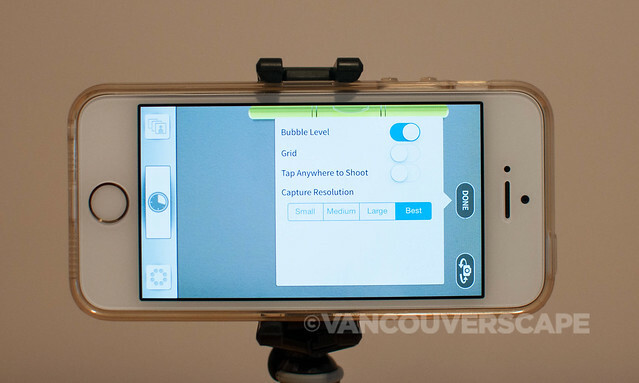 The app allows you to get a live bubble level right inside your frame, as well as a grid, capture resolutions from Small to Best, and a ‘tap anywhere to shoot’ option. I like the compactness of this mount. 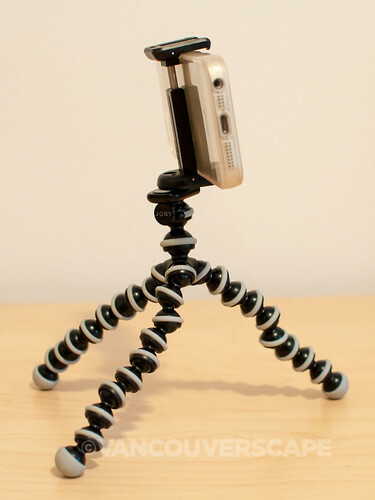 I’ve owned a JOBY GorillaPod for years, as it was the first tripod I bought for my Canon PowerShot DigitalElph point and shoot. 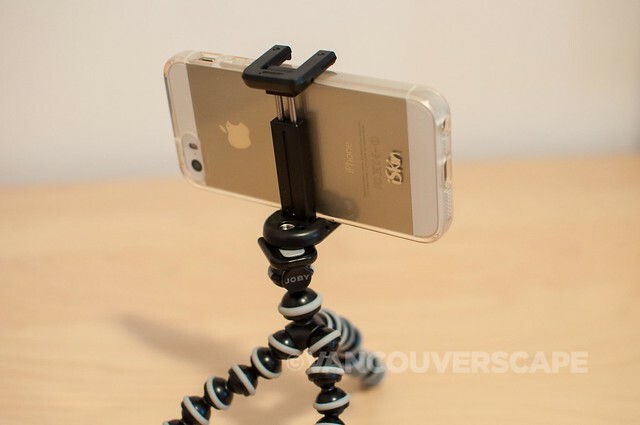 Portable accessories such as these, coupled with mighty cool capabilities means having an iPhone (or smart phone of your choice) in your bag won’t limit your photo-taking to hand-held shots and video. 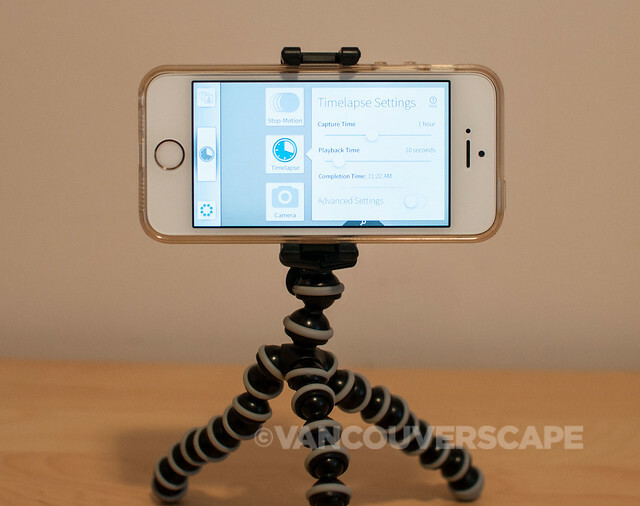 I can easily see taking this setup on the road for self-timed landscape photos and time-lapse videos. 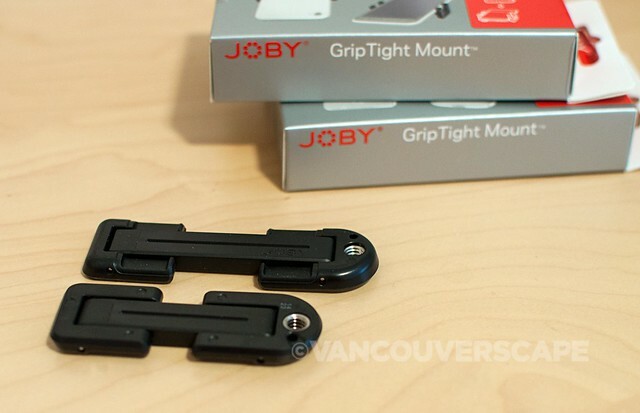 Bot GripTight Regular and XL mounts retail for CDN $19.99. The Regular is available in Canada at both Lens and Shutter and London Drugs. Purchase the XL at Dunne and Rundle in downtown Vancouver. Do BOTH for an extra entry! I’ll draw a winner at random on Wednesday, October 8 at 4 pm. Good luck to all entrants! NOTE: Winner must reside in Canada. Congrats to @VancouverCDO!